The United for Equity campaign aims to challenge all forms of discrimination and oppression on our campuses, in our communities, and in our student organizing spaces. Racism, sexism, ableism, homophobia, transphobia, Islamophobia, anti-Semitism and other forms of oppression can affect how certain groups of people access post-secondary education and perpetuate inequities in society based on gender, race, socio-economic status, (dis)ability, sexual orientation, gender identity, religion, citizenship status and other factors. The campaign involves several awareness building materials, including stickers, buttons, and information cards. 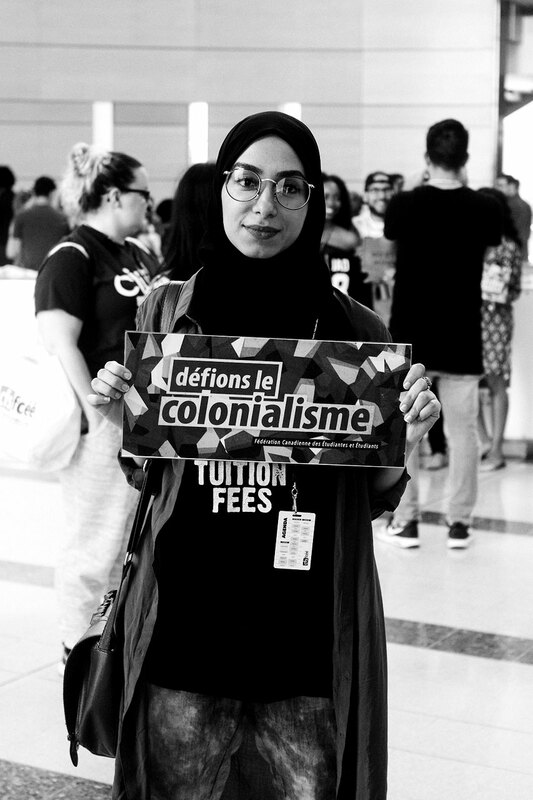 The materials focus on educating people about and challenging six forms of oppression: homophobia, transphobia, ableism, colonialism, sexism, and racism.